In Cuba, everything is ready for the biggest ritual of the absurd: the so-called people’s power elections through which, once again, the troubled “contributors” will think they are deciding who will “govern” their constituency, the territory covering the few blocks around the voters’ residence. The revolutionary-socialist vernacular refers to the new administrator as “delegate”. He is selected from two possible ones, previously assigned by the activists and agents of the one party, placed in each area at the time of the “nominations”. By the way, I was not summoned to the nomination meeting, and I am honored by that gesture. It is obvious that they are not counting on my dignified presence at the polls. Well, my readers are probably familiar with the ceremony: On Sunday, April 25th, Cubans will wake up to the tune of the street loudspeakers calling out “to vote for the best and most capable” (I don’t know capable of what), there will always be an old CDR or militia combative who will be up at the crack of dawn to be the first one to vote, a couple of pioneers on “guard” next to the cardboard box that serves as the ballot box, who will later receive the bonuses that will distinguish them in their respective schools and will brand them with an ideological advantage over their little comrades in studies; several respectable community neighbors, serious and solemn, who will assume the functions of the “electoral table” with the official listing of electors, the ballots and, of course, most of the people in the neighborhood who will file in by the school to legitimate, even if it’s only with their mere presence, the consecration of deception. At the end of the day, after simulating a scrutiny where only authorized and carefully trained eyes handle the ballots from the box and report the results, the pioneers will truly believe they guarded something that will distinguish them, the old man who got up early will be satisfied with his demonstration of loyalty to the regime and will forget -at least until the next pension check- the balancing miracles he will have to perform in order to not die of starvation; the members of the board will have gossip material for a couple of days, while neighbors, in turn, may possibly not even remember what name appeared to the left of the box they checked on their ballot, but they will have served their purpose: thanks to the five-year pantomime, the government sentinels will consider them loyal, they will not have problems at work or they will able to survive their CDR’s checking up on them, while they will continue to sneak around, dealing in stolen goods or will continue their illegal small businesses, all to survive the usual shortages. The most poisoned by the venom of half a century of slogans and “battles” will believe that, indeed, this new delegate will solve the bread problem (the longest and most difficult equation of the revolutionary mathematical system), the sewer leak on the corner, almost as old as the Nile and just as long and flowing, and the problem of materials needed to repair Pepe’s building, propped up for over ten years. The “elected” delegate, for his part, a sort of tropical politician without an agenda or proposals, but well-trained in obedience, will have his wits about him: he will only need to have a little patience to receive the barrage of complaints from voters at each “accountability” meeting, repeating the manual’s tidbits over and over again: “the country is going through a difficult situation,” “the U.S. blockade is obstructing the purchase of materials needed to repair the property”, do you know the price of wheat flour in the world market and how much it costs our Revolution to ensure subsidized bread, comrades?” and he will obey without flinching each course they dictate from above. In exchange, with a little luck, at the end of his “mandate”, perhaps he might get the materials needed to repair his own dwelling and who knows what other additional little benefit he might obtain. While thinking and rethinking all of this, it occurs to me that it is actually true: in some ways, we all make our own choices here. Image: The photograph was taken at the entrance to the elevators in the apartment building where Reinaldo and Yoani live. Note the spelling errors in contrast to the accuracy of the sketch showing neighbors where to go to “nominate”. It is known that the migratory urge of thousands and thousands of Cubans has led the natives of this small island to the planet’s most bizarre latitudes. Thus, you may find a child of this burning tropic island happily enduring the most stoic and cruel freezing temperatures in Sweden, Canada or Finland, to name only a few extreme examples. Other dissimilar places throughout the land have been many Cubans’ destination, to establish permanent residence during half a century of steady exodus that seems to emulate that of the Hebrew people. They say some emigrate for political reasons and most do it for economic reasons, as if in Cuba it were possible to delineate the economic disaster from the government’s disastrous policies. But, after all, any place where they can breathe in a bit of progress, some improvement in the quality of life and, above all, the slightest hint of freedom or opportunities for the development of personal initiative shakes the entrepreneurial spirit of Cubans, fed up with the absence of a future and with promises of sacrifice with which they are presented from the cradle to the grave. However, I can only wonder at the new exodus variant that has prevailed for some time. The destination is, no more and no less, one of the most disadvantaged countries of this hemisphere, or, in any event, one that is not very promising for someone wishing for progress: Ecuador. All of a sudden, many Cubans have developed a growing enthusiasm for settling in Ecuador, and, apparently, it is relatively easy, according to accounts of a good number of people I know (and from people I don’t know but know about) that have already taken the definitive step and have decidedly left –after quick and efficient paperwork -mysteriously provided by the immigration authorities of both countries- legally and quietly seated in seat on a plane, to settle there, among the Andean Mountain Range, in the middle of the world and very many kilometers away from every Latin emigrant’s biggest dream: The United States. To my knowledge, the number of Ecuadorians who emigrate is comparable to the number of Cubans who do so. For example, I understand that, in just Spain, Ecuadorians are, if not the largest group of immigrants, at least one of the most numerous: several hundred thousand. So, if even working age Ecuadorians are looking for a better economic destiny in foreign lands, one can imagine the desperation of those Cubans who follow the promise of a better life in a country where –just like in Cuba- money remittances from those who are away is one of the most important economic assets. Anyway, if the exodus of Ecuadorians to foreign countries and the influx of Cubans in Ecuador continues, and taking into account that the population of that country is quite small, we must consider that we are witnessing a process of re-colonization of that territory, this time by the Islanders. As far as I’m concerned, I wish them every success in the world, as far as it is possible to be successful in Ecuador. I hope they thrive and fulfill their aspirations, though, of course, the results will never be comparable to the colonization of Florida, lost by the Spanish in the XVIII century when they used it as currency in exchange for Havana, a city snatched by the perfidious English and recaptured three centuries later by the power of tens of thousands of Pepe Antonio’s heirs. Unofficially, it has transpired that the Venezuelan president bestowed the favor of a week of general vacation during Holy Week in his country. The goal, it is said, was to save energy. I have also informally found out through very reliable sources that in Cuba there will be a week of vacation between April 19th and the 25th, although this has not been declared in the media. I could not confirm this information, nor determine if all employment sectors in the country will be paralyzed (i.e., even more paralyzed), or whether it will only affect schools, but the fact is that all of the student centers will be off for the period, in order to save energy. Will Cubazuela have a joint program of savings? In any case, if the red military man who distributes, at his discretion, the oil of the rich Venezuelan basin is forced to take draconian measures against the crisis, what is left for the olive-green needy ones of the ruined Antillean plantation that depends so much on his generous subsidies? What is official, and actually anticipates what is almost upon us, is the “news” on the front page of Granma (Tuesday March 30th, 2010): “The savings battle is won in the residential sector”, a phrase with which the Vice President of the Councils of State and Ministries (who is also Minister of (dis)-Information Technology and the (in)-Communications), Commander Ramiro Valdés Menéndez, just indirectly predicted the avalanche of outages that we will have to endure during this coming Summer, that is, blackouts that have already begun to frequently affect many municipalities in the capital and in the interior provinces of Cuba. More of the Same? Maybe, but worse, because this “more” and that “same” go hand in hand with a growing sense of frustration and an alarming increase in violence, corruption at all levels, and official repression. Cubans on the island seldom know with any certainty what is official and what is not when it comes to information but –to compensate- we are trained to read newspapers between the lines and to listen to official “news” in reverse, which is how such a twisted reality is expressed, so we know what it means when the sadly infamous Ramiro Valdés alludes to this new “battle” for energy conservation whose main stage will be the residential sector. Undoubtedly, we will be the only ones, those of us who live at point zero and other privileged “points” in the whimsical geography of autocracy, that will be at the wrong end of the shootout in the new “energy war.” That’s the question. 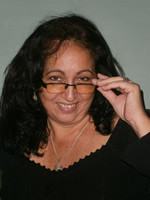 In the past few days, a document that many readers have coined simply as the “letter of Daniel” or “letter from Cárdenas” has been circulating widely on the Internet (http://contigo-en-la-distancia.blogspot.com) in which an alleged Cuban – who according to his own account – lives in this city in the province of Matanzas, is a communist and works in the tourist sector, discusses various problems in the current Cuban reality through a critical analysis that takes as its central element the death, after almost three months on a hunger strike, of political prisoner Orlando Zapata Tamayo. Many of my friends and some readers of my blog have commented to me that they suspect the letter is apocryphal, based on some errors that appear in it. And, indeed, for the people of my generation – those of us who are bordering on the half a century, as well as other older people, and especially for those who live in Cuba – some small blunders might cloud Daniel’s credibility. For instance, when states that he is now 44-years-old and participated in the war in Ethiopia, though that war ended around 1978, when Daniel was perhaps 12 or 13 years old. Neither are the facts in his personal experience credible when he reports having spent two years “in the brigade that supported the government of Mengistu Haile Mariam,” because there was not one, but several, artillery, tank and infantry brigades, among others. Moreover, it goes without saying that no one believes that there was a Cuban teenager healthy and normal enough to apply himself to watch the 8 o’clock news (either in 1981, nor before, nor after), and it is even less credible that he memorized the names and surnames of Irish Republican Army prisoners who died in hunger strikes at that time in Britain’s jails. That is, there is one after another historic slip-up in what Daniel narrates, a certain carelessness that, nevertheless, slides through the core of the undeniable truth of what it exposes. However, apocryphal or not, I liked the letter of Daniel. It expresses everything in very simple language, with extraordinary clarity and overwhelming logic, resulting in the plain truth. And the truth is never apocryphal. The letter, because of its content, could have been written by any Cuban, of any generation, inside or outside Cuba, “revolutionary” or not, because it alludes to a reality that has involved and affected all of us in some measure – no matter how hard or how little it may have hurt us – and it brings to light the feelings of thousands of Cubans who carry on without hope throughout the Island while they are, suddenly or gradually, discovering the great scam we have been victims of since the dirty trick of January 1959. I don’t think Daniel’s letter is authentic, but what it contains is indeed authentic. I also believe in the numerous Daniels who are questioning these and so many other lies of the regime, all those anonymous Daniels who have begun to awaken from the death-birth of Orlando Zapata Tamayo. Photo: Orlando Luis. Clouds silhouetted over Havana, reminiscent of the contour of the Island of Cuba.